A brilliant start to the new PADI Divemaster course today when six students started out the first level of PADI Professional training. After meeting together today and getting an induction and introduction to the role of the divemaster, their next steps will be to work in the pool next week to support Open Water Diver and Rescue Diver courses as well as helping out with some Try Dives. Our trainee divemasters will learn alongside experienced instructors and divemasters who will mentor them as they fine-tune their dive skills and refine their rescue skills. They will learn to predict and solve problems, gain dive knowledge, management and supervision abilities so they become a role model to divers everywhere. As a PADI Divemaster, they will lead others, supervise scuba diving activities and assist with diver training. We hope they will want to join the Scuba Blue Pro team when they finish the course but maybe some will see it as an opportunity to work at a faraway dive destination. Whatever they choose, they are taking the first steps towards a fantastic adventure. 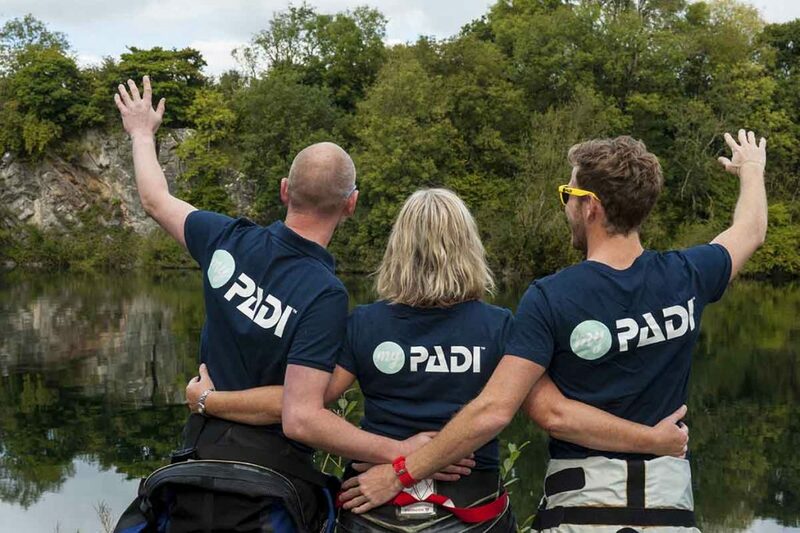 If you are a PADI Rescue Diver or have a similar qualification from another dive organisation why not get in touch with Scuba Blue and join the next group of folk aiming to become PADI Professionals. We take pride in offering a well-planned programme where you are supported throughout and have time to practice and hone your skills so you will become a confident, skilled and knowledgeable divemaster. You can find out more about the Divemaster course here - "PADI Divemaster Course" but why not give us a call or pop into the shop so we can start to plan your adventure together.